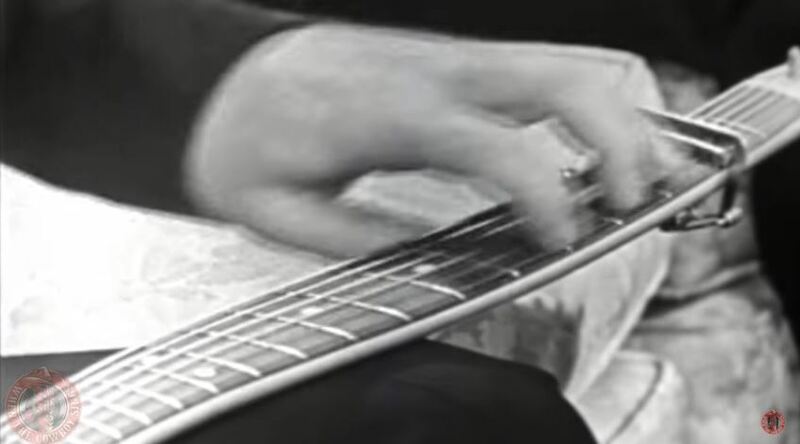 Artículos con la etiqueta "Thumbs Carllile"
Thumbs Carllile And Roger Miller Guitar Instrumental on Tennessee Ernie Ford Show. Kenneth Ray Carllile, better known as Thumbs Carllile (Carlisle in some collections), known for his zither-style fingerstyle playing, sitting with his guitar in his lap while fretting, picking and strumming with his fingers and thumbs. He performed with Little Jimmy Dickens at the Grand Ole Opry in the early 1950s, and was a member of Roger Miller's band from 1964 to 1972.